I can’t even count how many times I’ve heard someone say they cut carbs out of their diet to get healthier, but I’ve also heard people talk about how good they are for you. So, this got me thinking. Which one is it? Are carbohydrates good or bad? Good carbs include whole grains, beans, vegetables and fruit. Simple carbohydrates are single, also known as monosaccharides, and double-chained sugars, also known as disaccharides. They are recognizable because they usually end with “-ose.” Fructose, glucose, sucrose and lactose are the primary examples. Complex carbohydrates are many chains of simple sugars joined together, known as oligosaccharides and polysaccharides. They include starch and fiber. 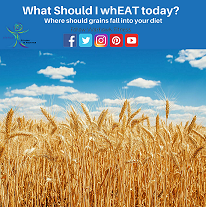 Foods that contain complex carbs include grains, bread, pasta, beans, potatoes, corn and other vegetables. To sum all this up, carbohydrates are BOTH good and bad. Good carbs contain complex sugars that can be found in fruits, veggies, grains and legumes. Bad carbs contain a simpler composition of sugars and are found in the words ending in “-ose” that we are usually told to stay away from.